WASHINGTON — Barack Obama’s reelection campaign pioneered a pathway for political campaigns to reach voters through Facebook when it released an app that helped supporters target their friends with Obama-related material. But as the 2016 presidential campaign approaches, Facebook is rolling out a change that will prevent future campaigns from doing this, closing the door on one of the most sophisticated social targeting efforts ever undertaken. “It’s a fairly significant shift,” said Teddy Goff, who was Obama’s digital director in 2012, and oversaw the effort that helped the Obama campaign gain a Facebook following of 45 million users that year. Goff’s team used Facebook and other tools to register more than a million voters online and to raise $690 million online in 2011 and 2012. “The thing we did that will be most affected — by which I mean rendered impossible — by the changes they're making is the targeted sharing tool,” Goff said. This was a powerful new form of voter outreach. The Obama campaign had concluded that many voters — especially younger Americans — viewed TV and other forms of advertising from the campaign with suspicion and skepticism. But they were still open to messages that came from friends and acquaintances. The key to getting persuasive messages in front of persuadable voters going forward, the campaign decided, was to have them come from people they knew. “It's extremely powerful for a campaign to be able to say to [a user], ‘Hey, here are your persuadable friends, ranked in order of where they live: Ohio first, Virginia second, et cetera. Go share this video directly with them,'” Goff said. The Romney campaign also started doing this, but only in October, a month before the presidential election. Then in the spring of 2014, Facebook — responding to growing privacy concerns — cracked down on how much information third-party applications could gain about those who installed the apps. Today, when Facebook users choose to share their friend list with an app, only those friends who also use the app become visible, Facebook spokeswoman Tera Randall told Yahoo News. What this means in practice is that a group like Ready for Hillary, the grass-roots network of supporters for a Clinton presidential run, has been able to use targeted sharing over the past year. That means it has the Facebook friend lists of all the people who’ve installed Ready for Hillary’s app on the social network. But when the API and terms-of-service changes become permanent for all apps, Ready for Hillary — as well as any campaign that has bought its voter information — won’t be able to keep up to date with its supporters’ most recent lists of friends, and will learn nothing about the Facebook friends of new supporters. Facebook’s change becomes permanent on April 30, 2015. Most of the Republican presidential hopefuls, meanwhile, will not get the chance to use the tool at all. Aside from a brief article over the summer in Campaigns & Elections and one more recently in AdAge, the political press has not taken notice of the change. Already, though, the National Republican Senatorial Committee has decided not to put time and resources into using Facebook’s targeted sharing tools. But the quest to reach voters through their friends will continue to be a highly competitive space in politics. 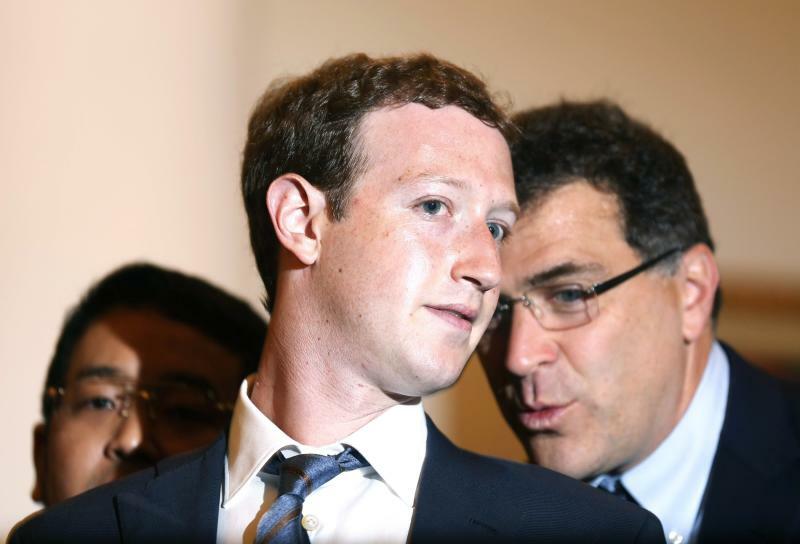 “I’m not convinced there aren’t going to be ways [to work around the Facebook change]. But nobody has found a way yet,” Goff said. NGP VAN’s interface, which taps into voter databases, is used by virtually every Democratic campaign up and down the ballot. So the level of volunteer use around the country is high. And NGP VAN has also created an Action Center tool that has been mapping relationship data among Democratic volunteers and Ready for Hillary supporters. “There is an element of our tool currently that uses that Facebook API, but it’s not the only way or even the predominant way that we are mapping relationships,” Trevelyan said.